The Mdzananda Animal Clinic is hosting its second Downward-Facing-Adopt-A-Dog yoga event this coming Saturday the 19th of January. Yoga lovers and dog lovers alike are invited to join this one of a kind yoga class with homeless dogs. The class will be held in the beautiful outdoor setting of De Waal Park under the shady trees. 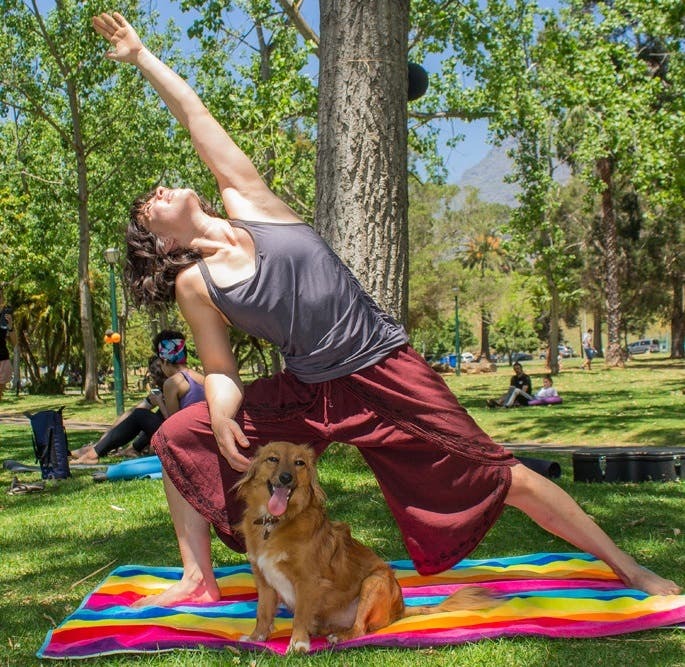 Here you will get to enjoy a one hour, gentle flow yoga class while meeting a variety of homeless dogs up for adoption. 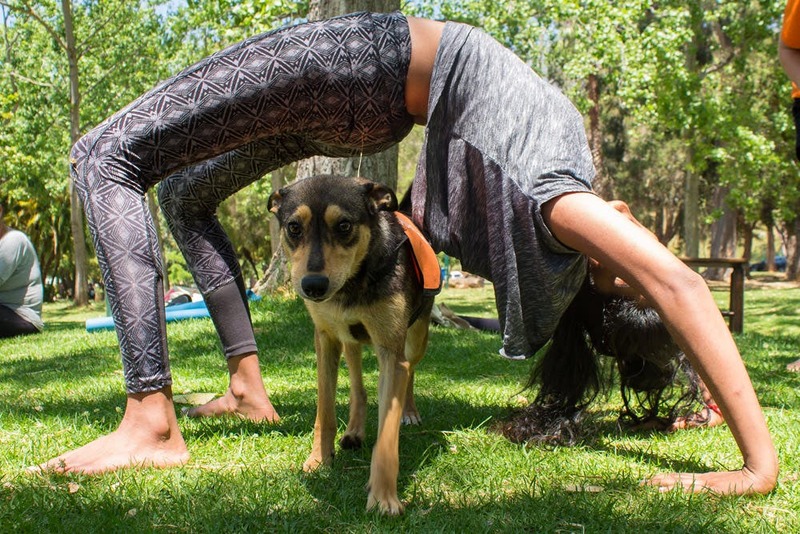 Be prepared to get a lick from a dog while stretching into your Downward Dog position. “Our first Downward-Facing-Adopt-A-Dog took place in October last year. Sixty-five people joined ten dogs for an unforgettable yoga class. Unfortunately, no dogs were adopted but just under R6000 was raised for the clinic,” says Marcelle du Plessis, Fundraising and Communications Manager. The event aims to raise funds for the NPO animal hospital but mainly aims to introduce people to pets needing homes. Mdzananda has experienced an enormous influx of homeless pets during the festive season. They usually cater for ten dogs and ten cats in their small stray unit and currently have thirty of each. “Our small stray unit is packed to the brim,” says du Plessis. “Being an animal hospital our focus is medical treatment for pets of the Khayelitsha community. We do, however, not turn pets away and have found ourselves with a stray unit that is currently filled over capacity. 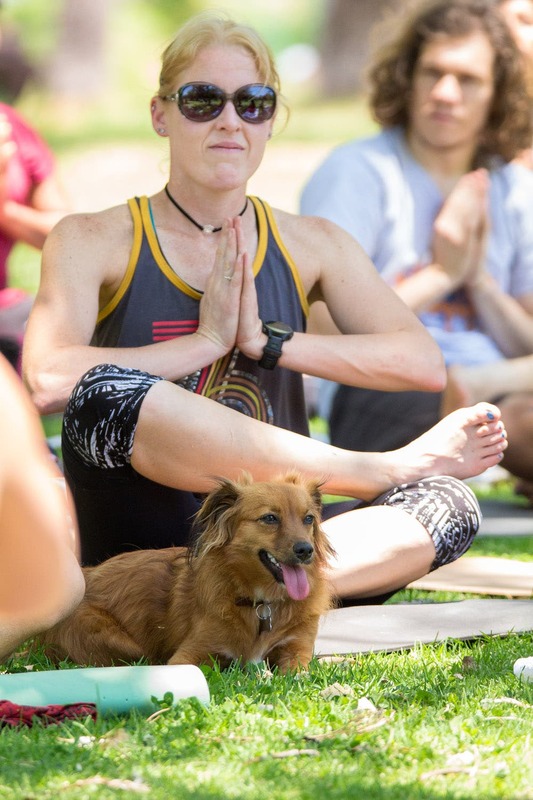 The yoga event was created with the aim of bringing dogs for adoption to an easily accessible location. 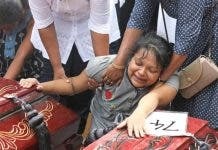 Here people can meet them while enjoying a yoga class. “Many people are too scared to visit our organisation as we are based in Khayelitsha. This makes it more difficult for us to find homes for pets. “We always encourage people to visit as the experience of driving through the diverse and creative community is one everyone should experience. 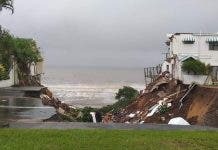 It also opens one’s eyes to the struggles in Cape Town for both humans and pets,” says du Plessis. The class will start at 10:30 am but you are advised to be there at 10 am to register, get a good spot and spend some time with the dogs. Bring a yoga mat or towel and invite everyone who is in the market for a new furry friend. The cost of the class is donation based and all funds raised will go to the Mdzananda Animal Clinic.